Former Finance Minister Ignatius Chombo appeared in court yesterday together with former Zanu-PF youth leaders Kudzanayi Chipanga and Innocent Hamandishe for wearing party regalia emblazoned with President Emmerson Mnangagwa's initials. The trio appeared before Harare magistrate Ms Rumbidzai Mugwagwa facing criminal nuisance charges. They were remanded to January 8. Ms Mugwagwa ordered them to abide by the bail conditions imposed on other cases they are facing. Professor Lovemore Madhuku is representing Chombo and Chipanga. Hamandishe was represented by Mr Emmanuel Samundombe. The prosecutor Mr Edmore Nyazamba is alleging that sometime between December 8 and 13 this year, the trio connived with Matthew Mleya, who is on the run, to pose in Zanu-PF regalia. The court heard that the accused are expelled members of Zanu-PF. It is alleged that they took photographs of themselves wearing headgear (caps) inscribed E.D and Kutonga Kwaro, an embroidered Zanu-PF flag. 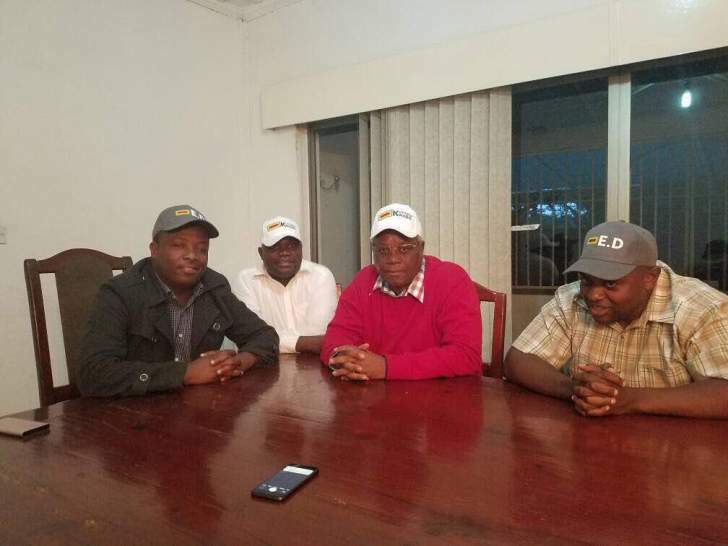 They posted the pictures on social media, an act perceived by members of the Zanu-PF hierarchy as likely to create a nuisance to the party. It is alleged that the accused had no right to act in the manner they did.